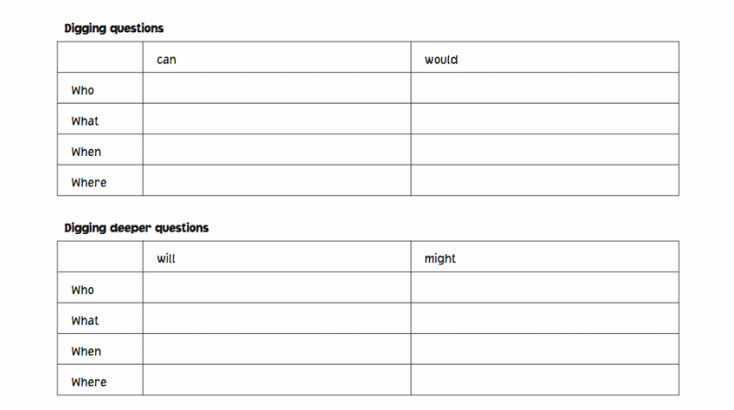 Question Stretchers Try using the table below to construct your own questions. 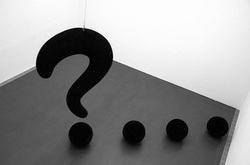 Surface questions are generally fact finding questions. Digging and Digging Deeper questions may require you to make a judgement. Table courtesy of © 2006 Q Tasks: The Student as Questioner by Carol Koechlin and Sandi Zwaan. Pembroke Publishers.